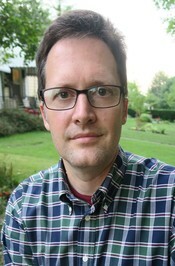 Born and raised in the American South, Jason Sanford worked in various parts of the world as an archeologist and Peace Corps Volunteer before settling down in the Midwestern U.S. with his wife and sons. In the last few years he has published more than a dozen stories in the British SF magazine Interzone, which devoted a special issue to his fiction in December 2010. In addition, his fiction has been published in Year's Best SF 14, Asimov's Science Fiction, Analog: Science Fiction and Fact, Orson Scott Card's Intergalactic Medicine Show, Tales of the Unanticipated, The Mississippi Review, Diagram, Pindeldyboz, and other places (along with being translated into a number of languages, including Chinese, French, Russian, and Czech). His story s Born and raised in the American South, Jason Sanford worked in various parts of the world as an archeologist and Peace Corps Volunteer before settling down in the Midwestern U.S. with his wife and sons. In the last few years he has published more than a dozen stories in the British SF magazine Interzone, which devoted a special issue to his fiction in December 2010. In addition, his fiction has been published in Year's Best SF 14, Asimov's Science Fiction, Analog: Science Fiction and Fact, Orson Scott Card's Intergalactic Medicine Show, Tales of the Unanticipated, The Mississippi Review, Diagram, Pindeldyboz, and other places (along with being translated into a number of languages, including Chinese, French, Russian, and Czech). His story story collection Never Never Stories was published in 2010. Excited to announce that my short story “Toppers,” originally published in Asimov’s Science Fiction, will be reprinted in the upcoming anthology The New Voices of Science Fiction. 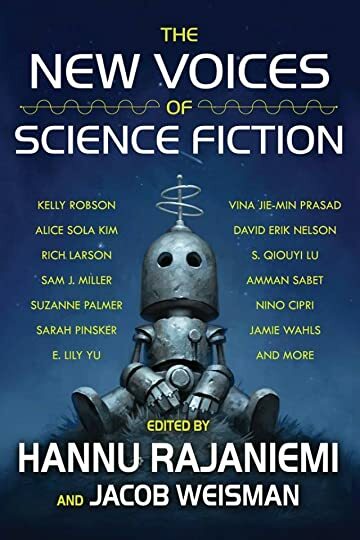 The anthology, edited by Hannu Rajaniemi and Jacob Weisman, is the follow-up to the award-winning The New Voices of Fantasy. We’d love your help. Let us know what’s wrong with this preview of Terminal Alliance by Jim C. Hines. We’d love your help. Let us know what’s wrong with this preview of The Sorcerer of the Wildeeps by Kai Ashante Wilson. We’d love your help. Let us know what’s wrong with this preview of Lagoon by Nnedi Okorafor. Viz Media first appeared on my radar in the late 80s and early 90s with their pioneering work bringing translated Japanese manga to the USA. Trying to strike translated gold twice, in 2009 Viz created its imprint Haikasoru to publish English versions Viz Media first appeared on my radar in the late 80s and early 90s with their pioneering work bringing translated Japanese manga to the USA. Trying to strike translated gold twice, in 2009 Viz created its imprint Haikasoru to publish English versions of Japanese science fiction and fantasy novels. Now Haikasoru has released Red Girls by Kazuki Sakuraba, a novel which, if there's any justice, will be read by even more people than All You Need Is Kill. The subjects of these two novels couldn't be more different. Described as a "multigenerational saga of matriarchs, manga, and murder," Red Girls fits more comfortably in the genre of magical realism than hard fantasy or SF. The novel follows the lives of three generations of women in the Akakuchiba family in a steel-producing town in rural Japan. Spanning the times from Japan's defeat in World War 2 to the modern day, Red Girls is — to play off Nick's quote above — Forrest Gump meets One Hundred Years of Solitude. Except that the novel is also far more than that. Red Girls is gripping, beautifully written, and as insightful as any fiction I've read this year. The characters draw you in and keep you moving through life with them. And this is a novel even non-genre fans will love. My wife, who isn't a fan of SF/F stories, loves Red Girls. We’d love your help. Let us know what’s wrong with this preview of Red Girls by Kazuki Sakuraba. We’d love your help. Let us know what’s wrong with this preview of The Winged Histories by Sofia Samatar. One of the most exciting novellas I’ve read this year is Under the Stone by Quebec author Karoline Georges. The story focuses on a child born in cell number 804 on the 5969th level of a massive building containing all remaining humans in the world. Th One of the most exciting novellas I’ve read this year is Under the Stone by Quebec author Karoline Georges. The story focuses on a child born in cell number 804 on the 5969th level of a massive building containing all remaining humans in the world. The child grows up both mentally and physically trapped by this cell while also learning to survive an abusive father and fearful mother, who are as trapped as the child and take their anger and disgust out on their offspring. The child's only escape — the possible movement of the incalculable amounts of concrete surrounding the cell and a crack which may bring about the ultimate transformation in the child. This psychological and philosophical novella is beautifully written and reads like a modern-day version of George Orwell's 1984, presenting a claustrophobic view of life where society reduces humans to our most basic instincts and needs. We’d love your help. Let us know what’s wrong with this preview of The Race by Nina Allan. We’d love your help. Let us know what’s wrong with this preview of The Fireman by Joe Hill.